If you are about to visit Thailand and you would like to choose a city which is not as crowded as Bangkok, but owns some spectacular and remarkable attractions, choose the city of Kanchanaburi! 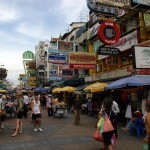 The city is situated at the confluence of the rivers Kwai Yai and Kwai Noi. 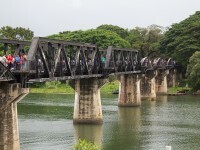 Therefore, the main attraction for many visitors is the Bridge over the River Kwai which is considered as the starting point of the Death Railway to Burma. There are also several associated museums in the town you must visit if you want to find out more about this important historic event. Once you are in this fantastic city, make sure you visit its surroundings, too. 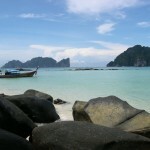 The province with the same name is considered by Thais as one of the most picturesque provinces in the country. It owns easily accessible and gorgeous national parks and waterfalls. 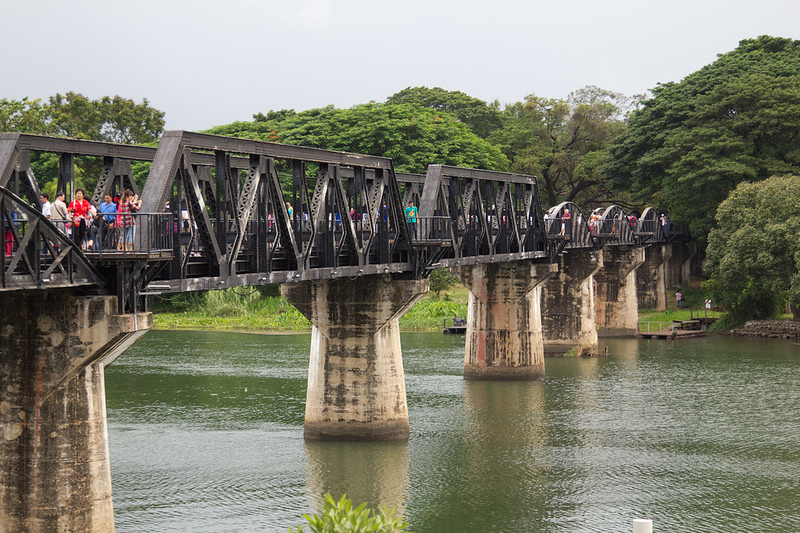 Located about 3 km north of Kanchanaburi, this iron bridge across the Kwai River is the main attraction for many visitors. It is internationally famous and very popular. The iron bridge was brought from Java making part of the Death Railway which linked Thailand with Burma. About 90,000 Asian workers died during the railway construction. The bridge was target of bombing raids during the war and was rebuilt after it ended. Still in use today, a train is following the historical route every day, starting from Kanchanaburi towards Nam Tok Railway Station. Visitors can cross the bridge on foot. Off the end of the bridge, they can feed or ride an elephant bare-back. The province of Kanchanaburi is very attractive due to the beautiful nature and friendly people with their native charm. 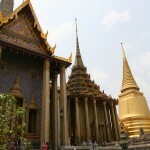 The attractions of it include several waterfalls, mountains, caves, national parks and the well-known the River Kwai. One of its major attractions is the impressive Erawan Waterfalls with its seven tiers set amongst lush jungle in the Erawan National Park. It is considered one of the most beautiful falls in Asia and also the most beautiful waterfalls in Thailand. 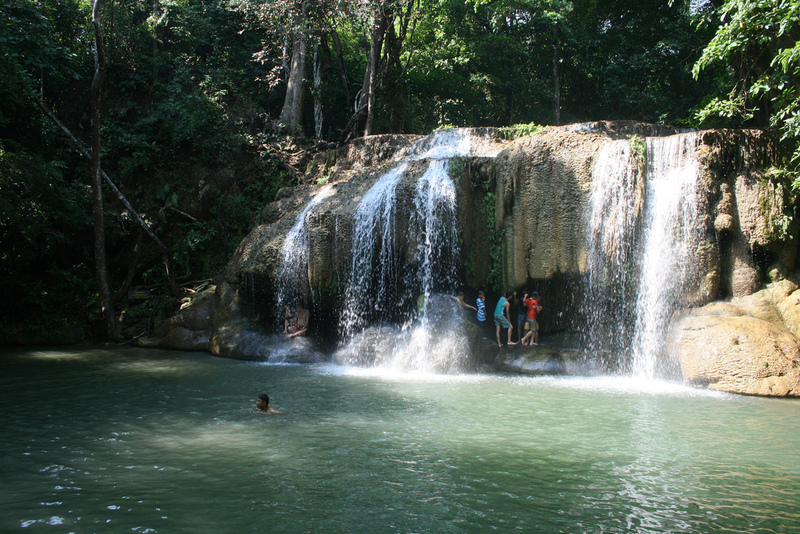 An unforgettable experience for visitors is the possibility of swimming in the turquoise blue pools on some of the waterfall’s tiers. Another area of beautiful natural scenery is the Srinakarind Reservoir which is home to the springs of the famous River Kwai. It has some beautiful surroundings and cystal clear water. It is hardly accessible, but worth visiting. Some other breathtaking sights in the area are the Phra That Cave, the Huay Mae Khamin Waterfalls and the Tham Than Lot Cave. Kanchanaburi is the perfect place for the lovers of animals. There are three places where you can meet wild animals: the Kanchanaburi Monkey School, the Elephant’s World and the Tiger Temple. The Monkey School trains 18 monkeys, all of them being rescued. They are trained to harvest coconut, dive and play basketball. It is open daily from 10:00 to 16:30. (July 2012) Elephant’s World is an elephant conservation camp where even tourists are welcome to volunteer. They take care of elephants which are too old to work for the tourism industry. It is open daily from 8:00 to 18:00. (July 2012) The Tiger Temple is a sanctuary which is home to numerous animals, including several tigers. Visitors can sit with, pet the tigers and make photos with the adults or cubs.